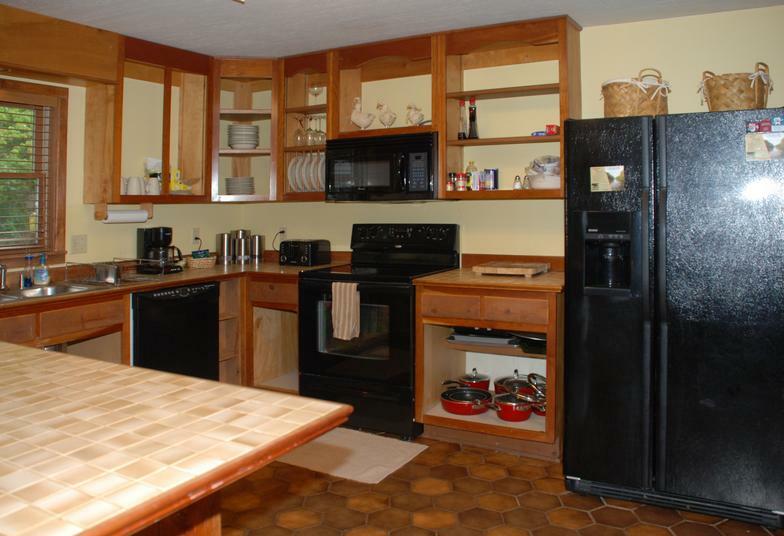 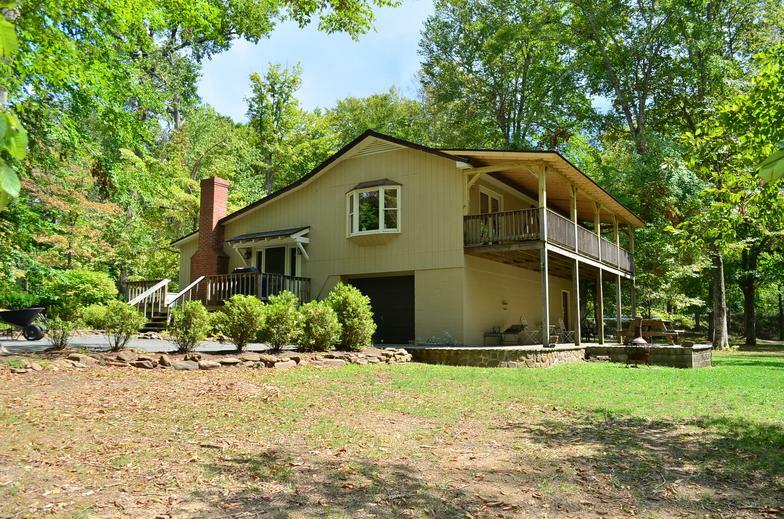 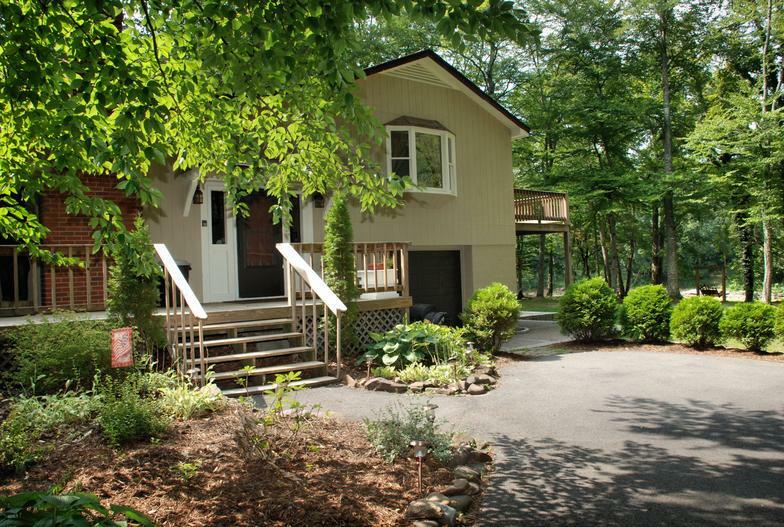 This split level cottage features 4 bedrooms and 2 baths. 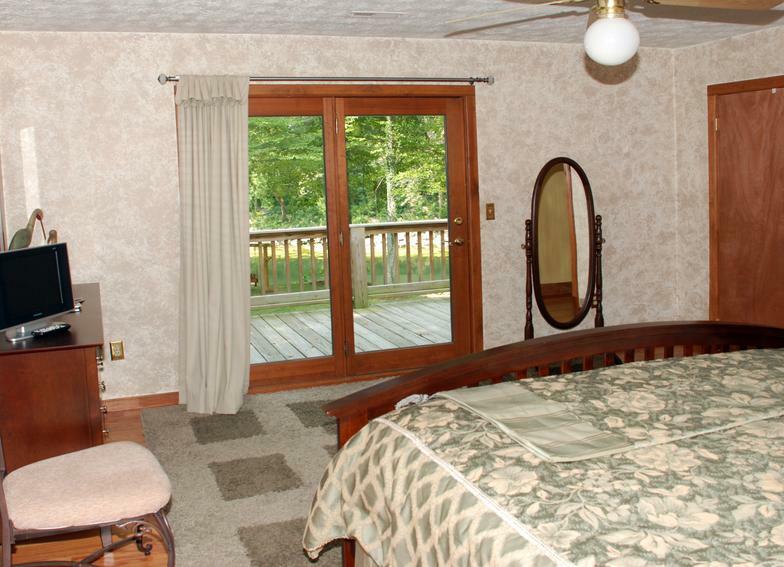 The master suite is on the top floor with its own bathroom, king size bed, TV, walk-in closet and French door with private access onto the covered deck that overlooks the River. 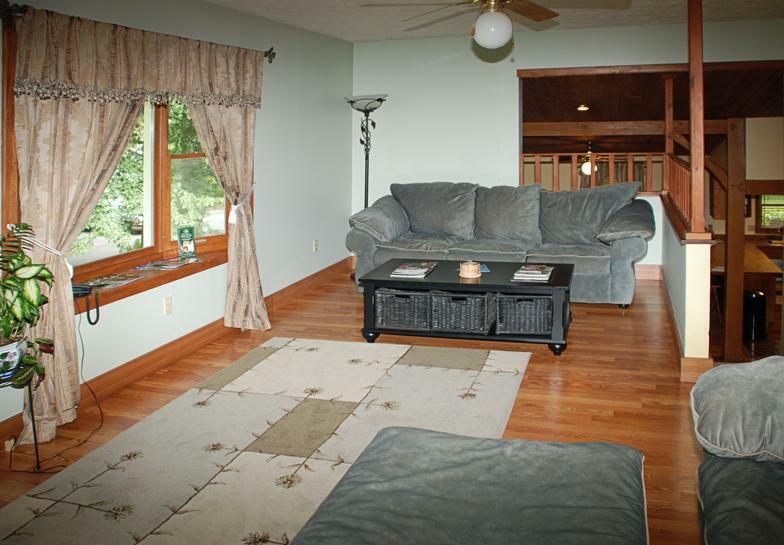 The living room is also located on the top floor allowing access to the deck, with a TV and couch that can be used as a full size bed if needed. 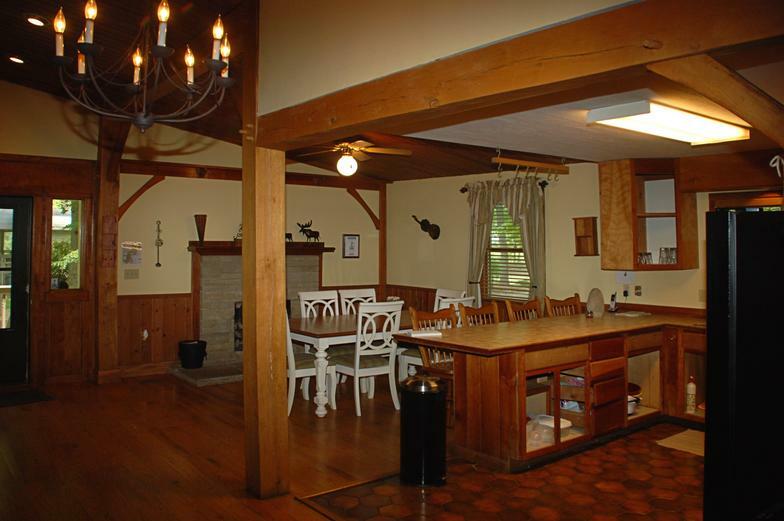 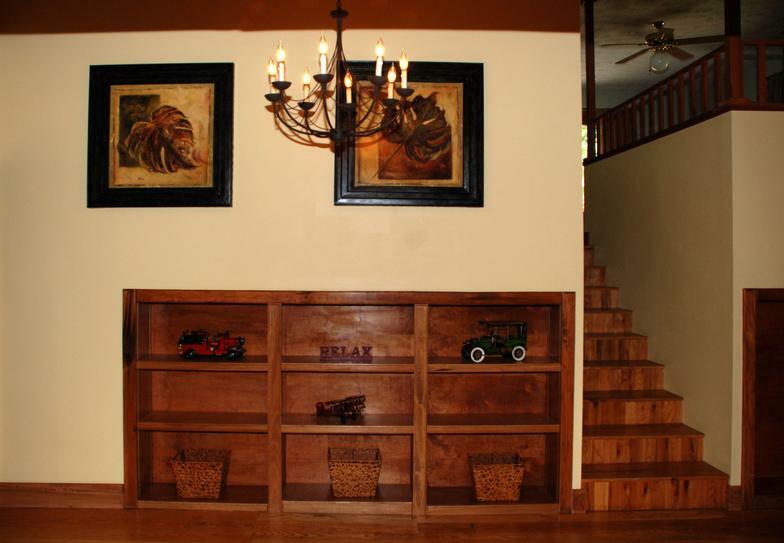 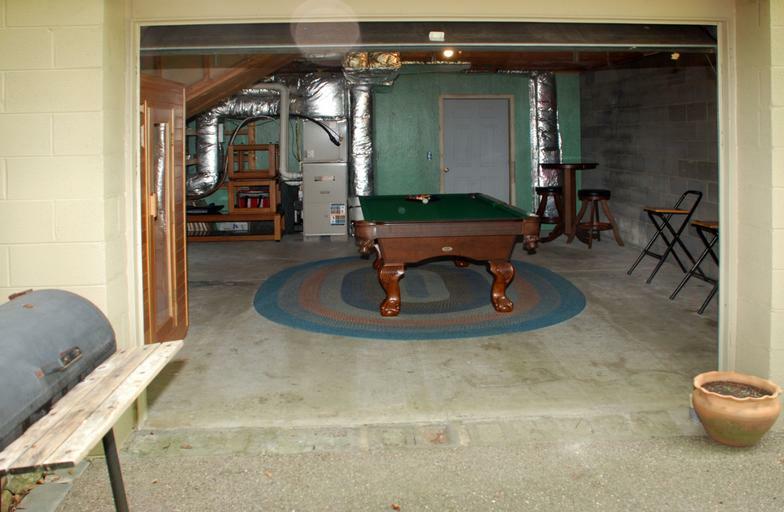 Entry level features a Den/Lounge area with a wood burning fireplace, spacious dining area, and fully equipped kitchen. 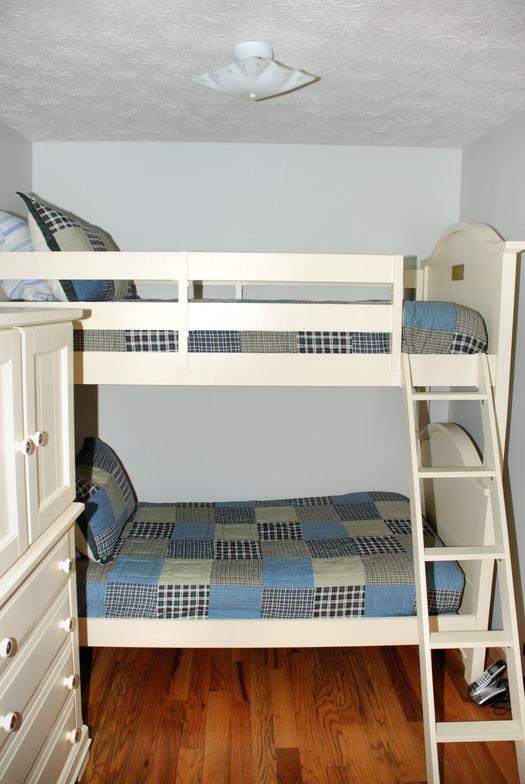 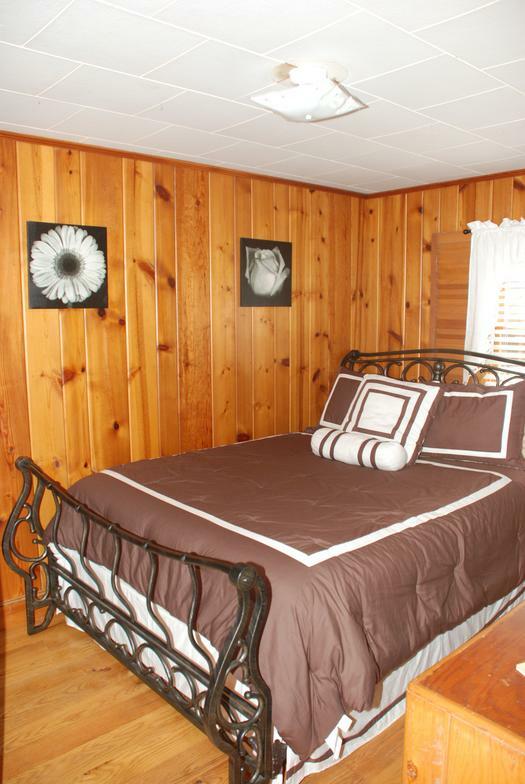 This floor also has 2 bedrooms, one containing a queen and the other, a set of twin bunks for the little ones. 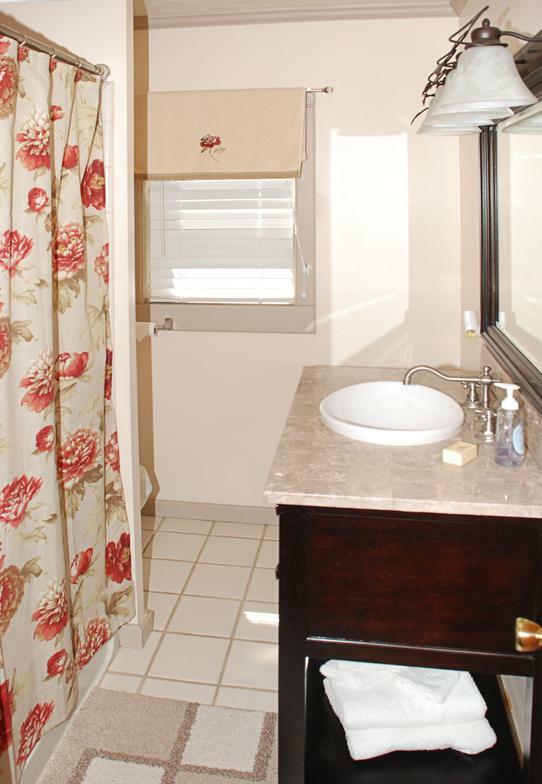 They share a Full bath located between them. 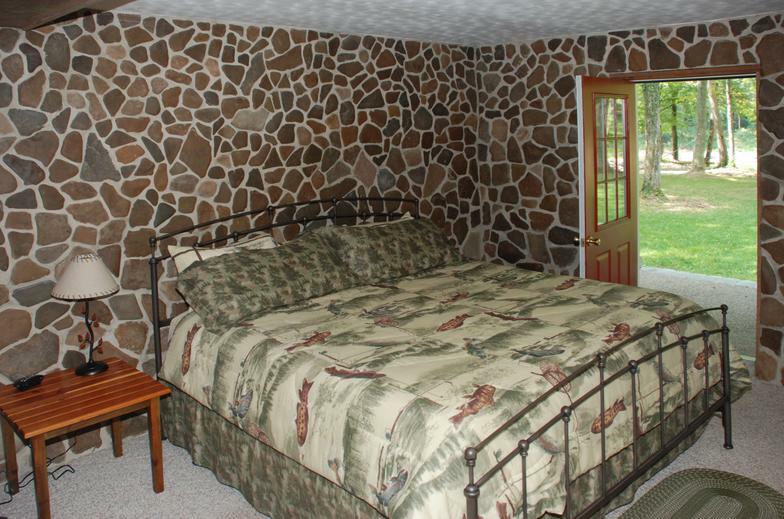 The bottom floor is one bedroom with a king size bed, TV, gas burning fire place. 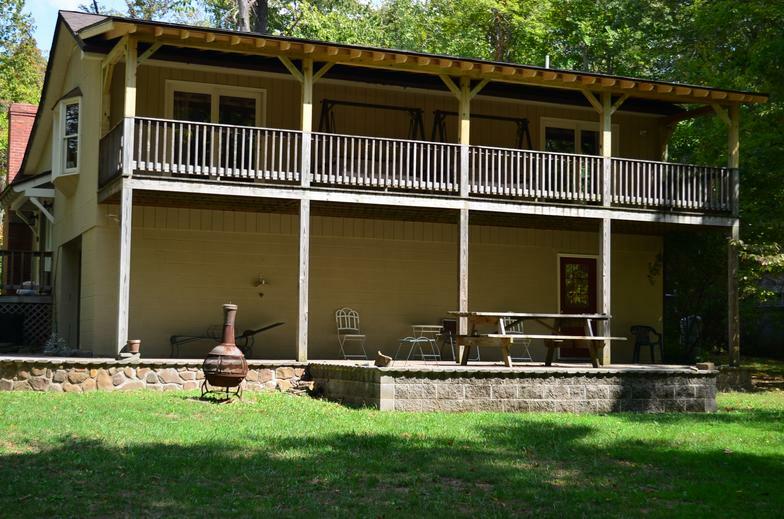 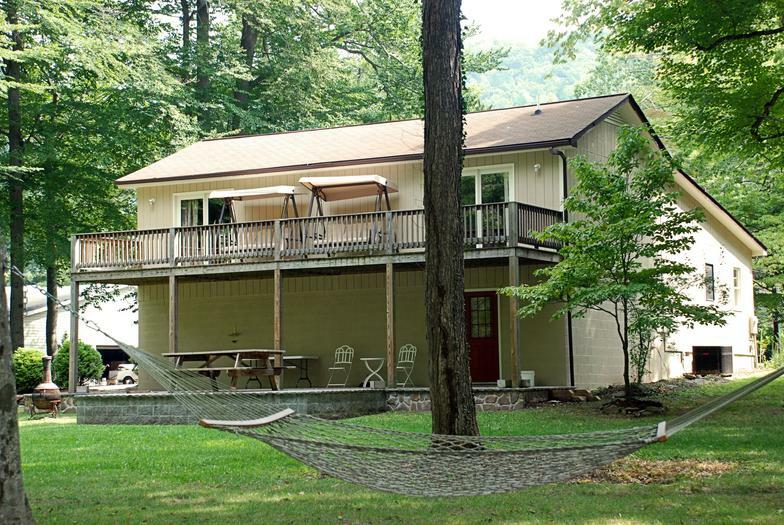 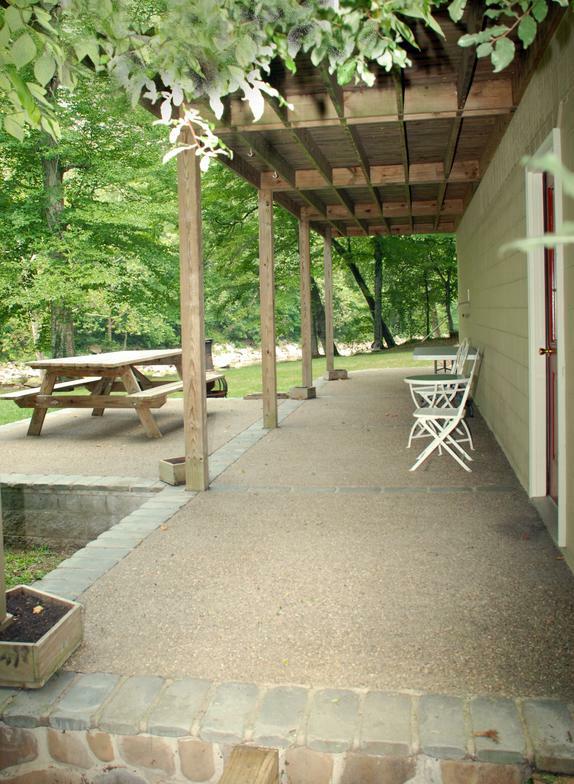 Cottage 4 also features a back patio, charcoal grill, picnic table, horse shoe pit, hammock, wooden hanging swing that overlooks the River, and fire pit. 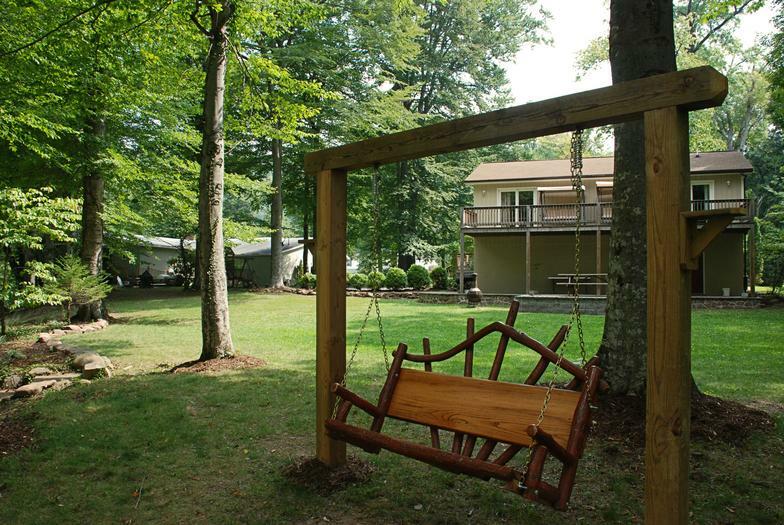 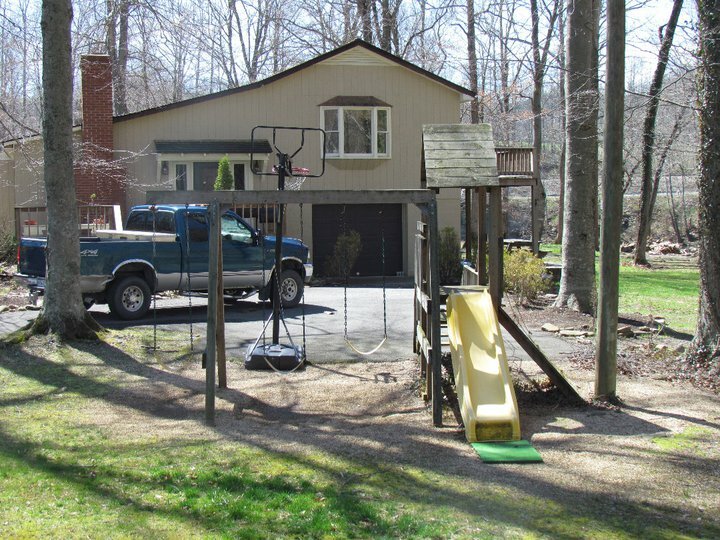 There is a Swing Set for the children and basketball court (shared with cottage #3). 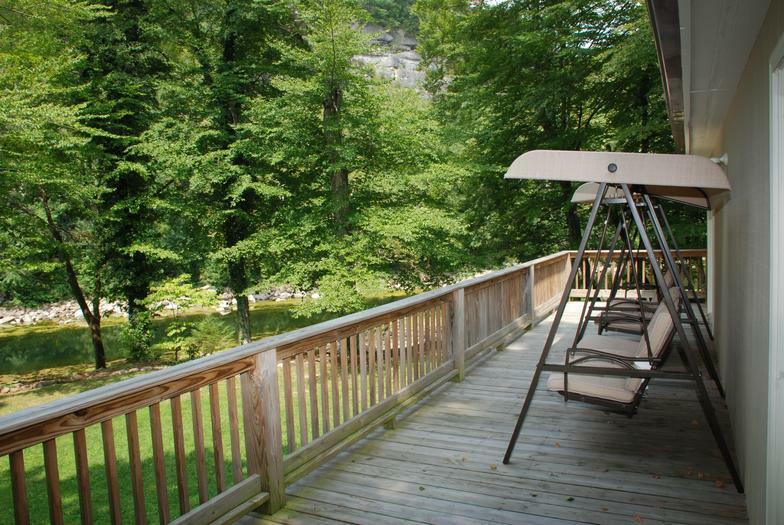 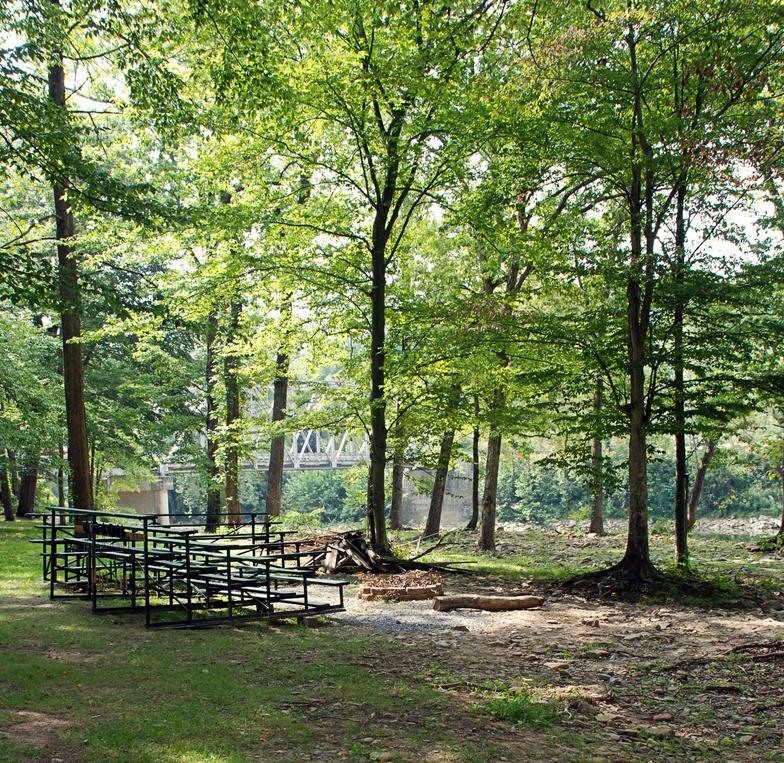 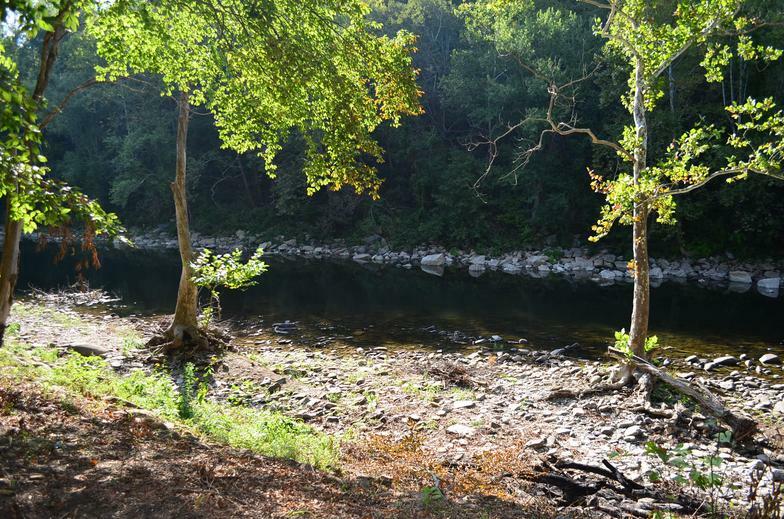 The river is conveniently located in your backyard for your enjoyment, with flat spots to fish and swim.